It’s time to think Spring Cleanup for your Landscaping when that last winter blast leaves us and we get a few warm days and the final piles of snow leave. Once the warm spring weather arrives, our thoughts lean towards things outdoors and how can we spruce up our yards so we are rewarded in the summer. This is one of the most important times to make sure your yards grass will grow properly, and that your bushes, plants and flowers can maximize their beauty. This includes among other things removal of all winter debris, weeding your landscape and seemless edging. 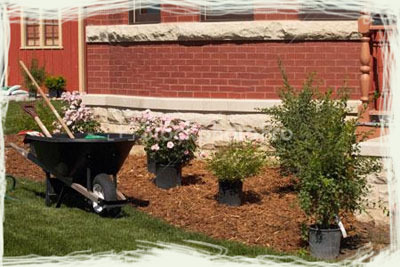 We also offer sidewalk edging, mulshing, tree removal and various other landscaping duties catered to your needs.